The most powerful and effective essential oils available. I first came across Young Living Essential oils while enrolling in massage school in California circa 2001. I was snowed in during a blizzard at a Best Western in Grass Valley, CA, where a kind woman offered to share her hotel room with me and my college friend. That evening she also gave me a job! What an ANGEL! And with that job, she handed me a collection of essential oils- the 9oils of the Young Living Raindrop Technique -to help support a new mom and baby while they regained their health. ​I LOVED THOSE OILS-- but what I didn't realize was that they were extremely precious, and I wouldn't be reconnected with them for 12 years. Fast forward to 2013. I had been in practice for over a decade, and I was looking for something that I could honestly and confidently recommend to my clients to help them in their day to day, and support the work we were doing in the office, so I began to research a number of different user friendly, effective products. Shortly after, my sights had locked onto essential oils being a really great tool, and realized that all essential oils are not the same! There are different grades of oils, with vastly different chemical make-ups. I learned that even those that tought to be PURE ESSENTIAL OILS, are not just botanical oils, but compounds that include numerous toxic contaminants. After many experiments and much research, I realized and REMEMBERED how amazing Young Living's oils truly are! I am so excited to have found Young Living again because the products and the company as a whole match my values and intentions, and I know that whether I'm using them at home or in the office, these highly conducive, life supporting oils are creating more ease and greater health within the bodies that are receiving them! Sage Massage & Wellness only uses Young Living Oils, and Trella is happy to speak w﻿ith you about how to best integrate these oils and other incredible health enhancing Young Living products into your day to day needs. 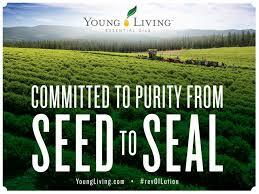 To order any of the Young Living products, please click here. May the healing botanicals of the Earth uplift and sustain you!